We really should have known better shouldn't we? There was no way in the mercurial, madcap F1 2012-style that we were going to have a simple end to the season, with Sebastian Vettel cruising to honours. That's not how the season has been. 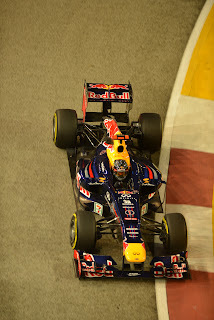 And sure enough Abu Dhabi, perhaps not the likeliest scene of F1 drama, delivered another swing. It all started in qualifying, with Lewis Hamilton going against the recent Seb-dominated grain by taking pole by a distance, and was exacerbated as Seb was put to the back of the grid for not being able to provide a litre of fuel for the post-session check. And you could hardly see the join between that and the drama today on race day. While there was some poor driving on display in the pack, the range of driving quality in the modern F1 field was laid bare with four truly magnificent performances from world champions. First off, Lewis Hamilton continued to be in a class of one on pace out front, as he had pretty much since his first lap in Friday practice. Lewis always goes well at Abu Dhabi, particularly in the final sector of the lap where it's as if he operates with different laws of physics to everyone else. Perhaps also he was benefitting from the freedom of the damned, with his future sealed and his championship chances (effectively at the start of the weekend and definitely now) over. 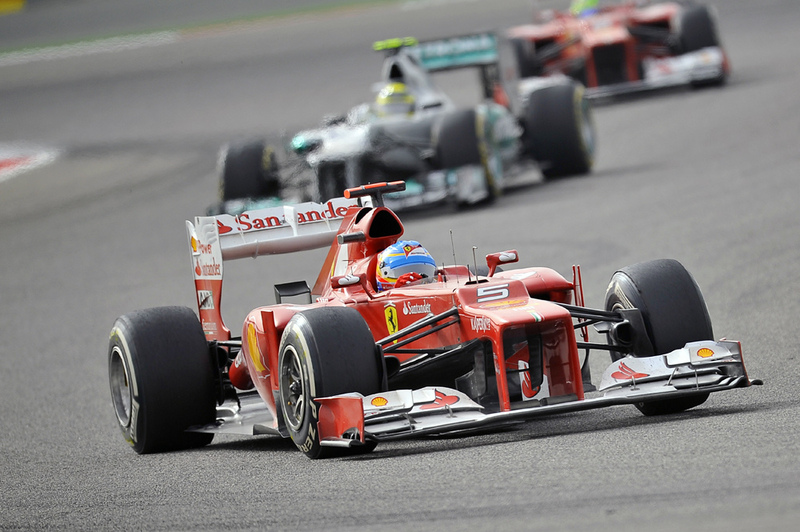 Aside from a small early-race mistake which nearly let Kimi Raikkonen past, it seemed only unreliability could stop him. But sure enough, 20 laps in he rolled to a stop with a mechanical problem, not the first time he's suffered such a fate this year. The lead was taken by the self same Kimi, and he kept it to the end like he'd never been away from the winner's circle, for his first win since 2009. It was all a stark reminder of Kimi's star quality, which perhaps had been forgotten somewhat as his Ferrari stint ended badly, and as he endured a two-year rallying sojourn. F1 is now benefitting from all of it again - a complete lack of drama, pretension and ostentation, but all the while bloody quick. In many ways he fits the persona of what you feel a racing driver should be. And it's fitting reward for what has been one of the stories even of the 2012 F1 season, the astonishing comeback success of both Kimi and Lotus. Again, it's easy to forget the doubt and doom-mongering which surrounded the Finn's comeback to the sport, but such talk is long gone as the return has been much more Niki Lauda than Michael Schumacher. Much (if perhaps not all) of the old pace remains, and of those at the F1 sharp end only Kimi can credibly claim not to have left points out on the track this year, and has clung to the coat tails of the title fight just about all year as a result. 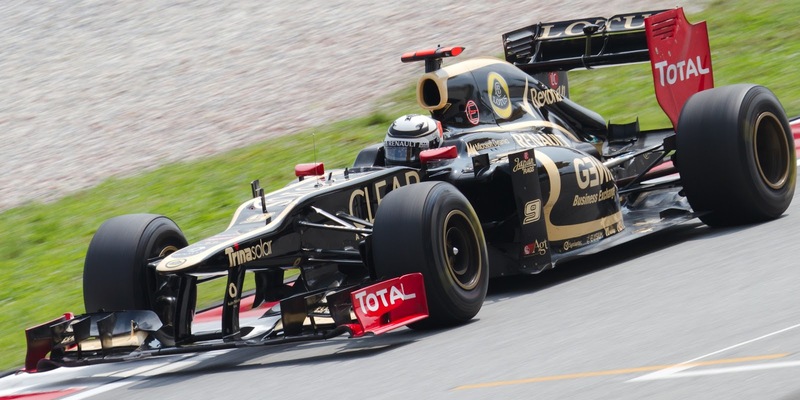 And Lotus has rebounded back superbly after the trying, forward-facing exhausts laden, 2011, usually being a contender and looking plain quickest in some races. It is a timely reminder of what a fine unit the Enstone lot is, whatever we call it. 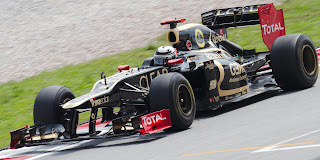 Had it, and Kimi, gone through 2012 without a win that would have been a travesty. 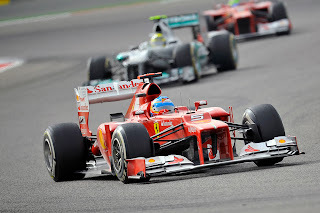 And Kimi was unflappable under pressure, as one Fernando Alonso chased him down all the way to finish a close second. It was typical Alonso stuff today: fighting all the way, making progress from a lowly grid slot, and giving the impression of carrying the red car on his back. But somehow a miracle is the least one expects from Fernando these days, so the response to his performance has so far been muted. But once again he got far more from the F2012 than you suspect it deserved, and has bought his team two more weeks to get it right technically. The tap was on full at the Scuderia this weekend in updating the car, and yet it still seems to come up short, especially in qualifying. The next fortnight is its last chance to get it right you feel. And on a day rich on comebacks a certain Sebastian Vettel completed the podium after starting from the pit lane. Yes, in today's race the cards fell not so much like Seb was dealing, but like he was hand-picking them. Safety cars were timed perfectly for him, cars conveniently got out of his way by colliding with each other, and of course by starting from the pit lane he was able to change set up and thus his car was better able to operate in traffic. Plus his early part of the race was a little scrappy, twice making contact with other cars (the latter behind the safety car) and having a frustrated barb on the radio just after. But even there his bad luck turned into good, as the subsequent pit stop put him onto a strategy which worked for him. But the quality and combativeness of the drive cannot be questioned, and yet again buries deeper the ridiculous 'he can only race from the front' notion. Getting onto the podium starting from dead last cannot be sniffed at in any circumstances, and reducing the points loss to Alonso to just three represents one heck of a save. All in, who of the title contenders 'won' today is a matter of perspective. As stated in my preview, you felt that Alonso had to get some points back on Vettel this weekend, and he did just that. Plus at the time of qualifying yesterday had you offered Nando this race result he would have swiped it without hesitation. Yet, come yesterday evening when Seb's penalty was announced Seb would have been similarly forthcoming if offered only a three point shift. Thus the championship is a bit more alive than it was before the Abu Dhabi weekend. Ten points separate Seb and Nando, and you again feel that Alonso must again get some points back on Seb in the next round, a new experience for everyone in Austin Texas, so not to be reliant on the slings and arrows of outrageous fortune to be this year's world champion. But today again demonstrated how outrageous F1's slings and arrows can be. Good to see Raikkonen win. He has been fast and consistent the whole season and deserves this success. 2013 F1 champ Raikkonen!